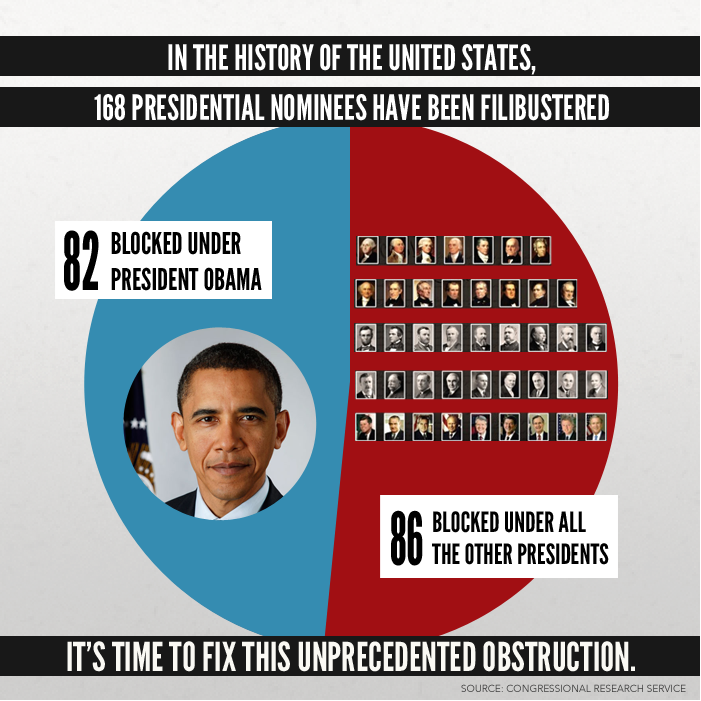 The filibuster is a parliamentary procedure used to stall or circumvent the ability of a voting body (such as Congress) from being able to vote on bills, laws, appointments, etc., that has grossly been abused in recent years. Our President is not the first democrat in office, nor has his policies, appointments, and the like been revolutionary such that they have deviated tremendously from the norm. Therefore, how does one explain the disparity depicted in this graphic above? By KLN Consulting Group in Uncategorized on November 21, 2013 .